The band has a great sound and an amazing back story. They released their debut “Bangs” EP on July 30. The singer's blood diamond smuggling dad inspired a lot of their music. Check them out. 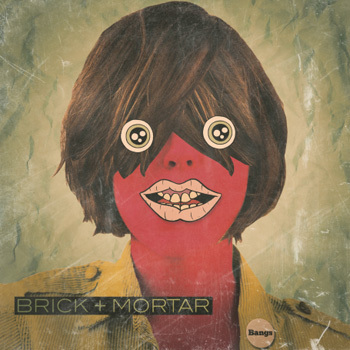 Brick + Mortar (Asbury Park, NJ) are an indie rock, drum and bass duo formed by Brandon Asraf (bass guitar, vocals) and bandmate John Tacon (drums, electronic samples, vocals). 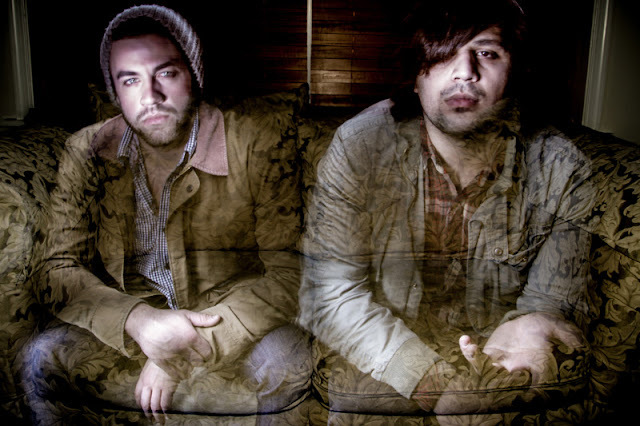 Brick + Mortar have garnered a notable amount of regional success since their 2008 formation, making them a significant part of the musical and artistic culture of Asbury Park, New Jersey as it is the first electronic drum and bass pop duo to have such success in the area. Since middle school, the two bonded further over their shared interest in the artistry of songwriting. As Brick + Mortar, they began focusing more heavily on the use of electronic samples in their music as well as relying less on improvisation and more on structured pop songs. Brick + Mortar represent the underground, the oppressed, the disillusioned, and voiceless. Fusing driving percussion, grooving bass, eclectic samples, and anthemic vocals, the band creates a new world sound that is so fresh you truly need to hear it for yourself. Brick + Mortar are set to release their 7-song EP titled “Bangs” on July 30th, and includes favorites such as “Bangs”, “Heatstroke” and “Old Boy” along with brand new tracks “Terrible Things”, “No I Won’t Go”, “Locked In A Cage”, as well as “Keep This Place Beautiful” which was co-written by Justyn Pilbrow (The Neighborhood - “Sweater Weather”). Brick + Mortar's consistent performances quickly gained them a strong following as one of the best live bands in the Asbury Park music scene. Notable support for national acts include performances with Galactic, Jimmy Eat World, H.R. [Bad Brains], and Cymbals Eat Guitars. Their live show is a party that erupts like a magnetic sonic volcano catching the attention of everyone in the room, drawing them to the stage full of intrigue and energy. Aside from touring Brick + Mortar will also be busy with several other projects this Fall, including putting out a fully animated music video created by artist Richie Brown and focusing on writing for their debut full length. "The goal is to make our album an audiovisual experience. I feel like the songs we are working on are our best yet. We are ready to make a full length record. We are not for the faint of heart. Our brash, gritty, whip-smart sound foregoes guitar in favor of bass, drums, and electronic samples. At our shows, the audience is part of the band. That's what makes playing each show uniquely exciting and inspiring. We will give you 100% every time because we truly love what we do. Hopefully, you give us 100% back".